One of Israel's best-known authors, A.B Yehoshua, is preparing to spend the weekend in the Negev. Though the weather forecast predicts thunderstorms, he has succeeded in convincing his entire family – including six grandchildren – to join him in attending the 10th annual music festival in Sde Boker. "In the Negev Israel's potential comes into proportion. Huge areas can be discovered there, which can be used for science and settlement, instead of fighting over every piece of land in Judea and Samaria," Yehoshua says. "Tens of thousands more Jews could easily live in the Negev, easing the crowding in central Israel and lessening the tendency to enter the territories of the population in Judea and Samaria, thus creating a bi-national state that could be, as the prime minister says, a disaster for us all." Yehoshua seems to slip from a conversation on desert festivals into a political discussion with the greatest of ease, perhaps since, for him, the two are deeply intertwined. "Ben Gurion said that 'in the Negev the Jewish people's fate will be decided', and this statement is both simple and true," he says. "Demographically we are becoming more and more crowded, and when we return land to the Palestinians this problem will worsen. "I believe the prime minister when he says he wants a Palestinian state and fears a bi-national state. The trouble is that very few Jews live in the Negev and no great effort has been made to settle it, despite the fact that we are living in a world of advanced technology." The author mentions the US where, he says, a number of very large and flourishing cities are located on desert land. 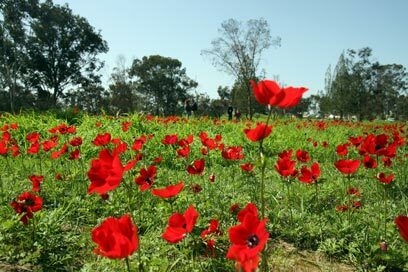 "Sde Boker is just two hours away from Tel Aviv, which is nothing in American and European terms. There is a lack of desire to establish basic infrastructure for settlement in the desert. We could create advanced technologies and compact cities there." However, 74-year old Yehoshua is in no rush to practice what he teaches. "I would not move to the Negev because I'm too old. But I performed most of my military service in the Negev and I visit there a lot," he explains. The music festival this year will host other authors, among them the famous Amos Oz. Yehoshua has been asked to read a chapter of his new novel, about a film director who travels to Beersheba after having been away for 30 years in order to visit a producer he once worked with. The choice of books is no coincidence, he says, as it expresses his love for the Negev. "When he arrives he realizes that a prophecy has been fulfilled. The Negev is blooming, there are thriving communities and lots of agriculture – in these 30 years the Negev has completely changed," he says. Yehoshua's love for the Negev is also an expression of his adulation of Israel's first prime minister. "His image gets greater and greater every year. This man, who resigned of his own volition, actually went to settle in a shack. I'm proud that the father of our nation settled in such a shack. As the rest of our leaders fade and their image becomes dwarfed, Ben Gurion's image becomes more important, clear, and ethical, and the years only make it better," he said, lamenting that the Left no longer has any worthy leaders. "There is no leader on the state level who places the Negev at the head of his list of priorities. There are no deeds and a lot of talk. There is no one to fight for the Negev." Still, Yehoshua is optimistic about the left wing, and especially the Labor Party. "It's just waiting for the right people. The house is empty and destroyed, but it can be rebuilt. Ideologically, there is no reason that the leftist social-democrats should not get together, enter the structure, and rebuild it. I don't believe the party can rule, but it can be as important as Lieberman's party," he explains. In any case, the author plans to leave political turmoil behind this weekend to enjoy the festival, expected to be attended by thousands. "The goal is to listen to the poets first of all. This is a poets' festival and they deserve the exposure," he says. For Yehoshua, poetry in motion is what the Negev is all about. See all talkbacks "Back to the desert"